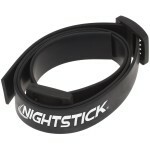 This is an all LED Battery-powered Multi-Purpose Headlamp. Utilizing Bayco's exclusive Dual-LightTM design, this headlamp combines a tight-beam long-throw spotlight, with a wide-beam close area floodlight. 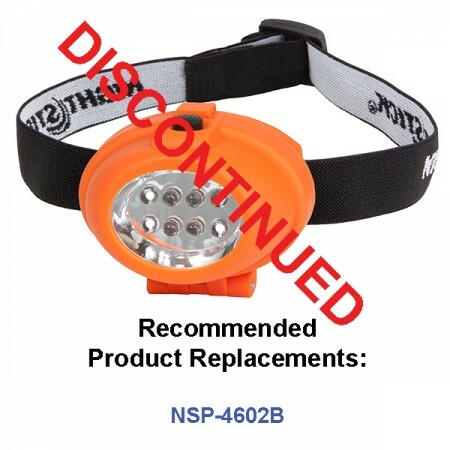 Rated at 8 lumens, the spotlight beam on this headlamp is designed for distance illumination. 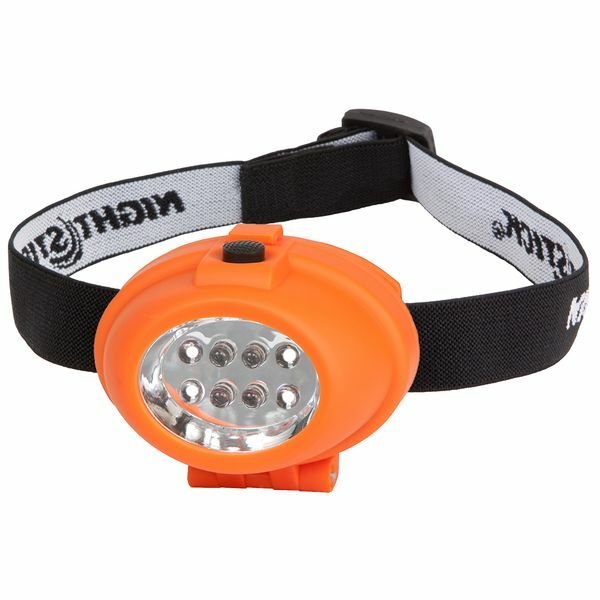 In addition to the spotlight beam, this headlamp also has a wide-beam 8 lumens floodlight. The floodlight spreads out in a wide even pattern of light expressly for the purpose of providing illumination of areas that are close by. 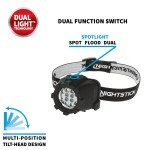 Additionally, both the spotlight and the floodlight can be turned on at the same time, thus allowing for dual illumination of both distant objects and ones that are close. The unique design of the head, allows it to be tilted down for optimum light positioning. 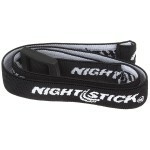 The elastic headband is adjustable and has a pair of rubberized strips around the inside perimeter that keep the strap in place. Powered by 3 AAA batteries (included).